Vampires are associated with Eastern Europe in American film, despite the rich world culture of similar mythologies. Even in the classic blaxploitation horror Blacula , African prince Mamuwalde is turned into a vampire by a very traditional Dracula. Almost as though in answer to the Euro-centrism of Blacula’s origin, the following year saw the release of Bill Gunn’s Ganja &a Hess . The importance of this film cannot be understated, as it presented a very different model of black filmmaking amidst a glut of crass cash-ins. The birth of blaxploitation is typically credited to the release of Sweet Sweetback’s Baadasssss Song and Shaft in 1971. Imitators quickly followed, creating a cross-genre phenomenon that exploited the new market for films starring African-Americans. It was a double-edged sword, because at the same time that the pictures were putting blackness on screen they were also reinforcing ghetto stereotypes. Hess takes his first drink of blood. 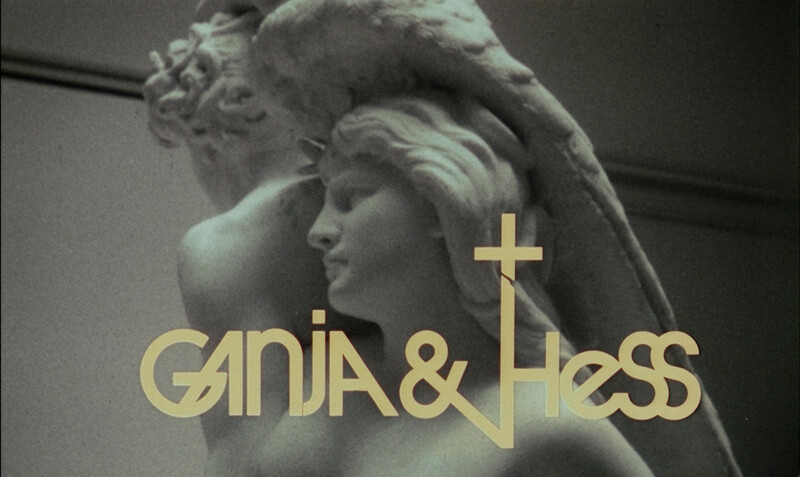 Ganja & Hess was one of the few films to counter the flood of hustlers and pimps. 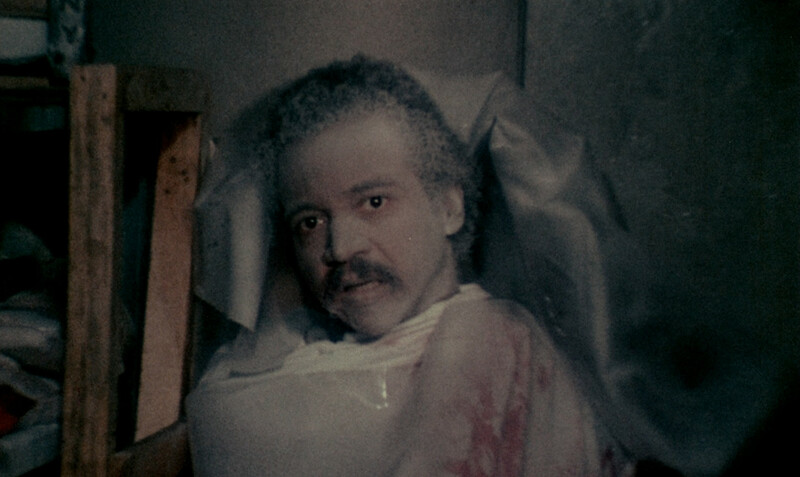 The main action takes place in the luxurious home of Dr. Hess Green (Duane Jones), an archaeologist who has been cursed with vampirism by an ancient knife. He haunts slums to acquire blood, but he himself is a well-to-do sophisticate. Ganja Meda (Marlene Clark) is more enigmatic. She arrives from overseas, elegant and outgoing. They would appear to be an ideal complementary couple, apart from the nuisance of her suicidal husband George (Bill Gunn). Ganja discovers George’s body in the freezer. This isn’t the sort of film that has protagonists and antagonists, at least not as separate identifiable roles. Neither is it about anti-heroes, as in some takes on vampires. Instead the leads are people, with positive and negative traits. To paraphrase George, discussing his first attempt to kill himself, they are both victims and killers. At any moment one aspect may prevail. The wedding ceremony by the pool. To that extent the story is about survival, not strictly of the body but also of the soul. It’s no accident that the cross figures so prominently in the film. Rather than a weapon or shield for the righteous, it’s a symbol of the torment and salvation of the damned. Hess hangs a cross like the sword of Damocles, believing that it’s shadow can kill him. Religion has hung over him the entire movie, from the ancient blood cult of Mythria to Christianity bathed in the blood of Jesus. The Mythrian dagger cut him and made his body undying. The cross will kill him without a wound, setting his immortal soul free. Hess seeks healing through prayer. Though constrained by budget and occasional lapses in production value (the dialog is sometimes murky, particularly in the scenes that were restored from existing reels of the unedited film), Ganja & Hess is a film well worth seeing. 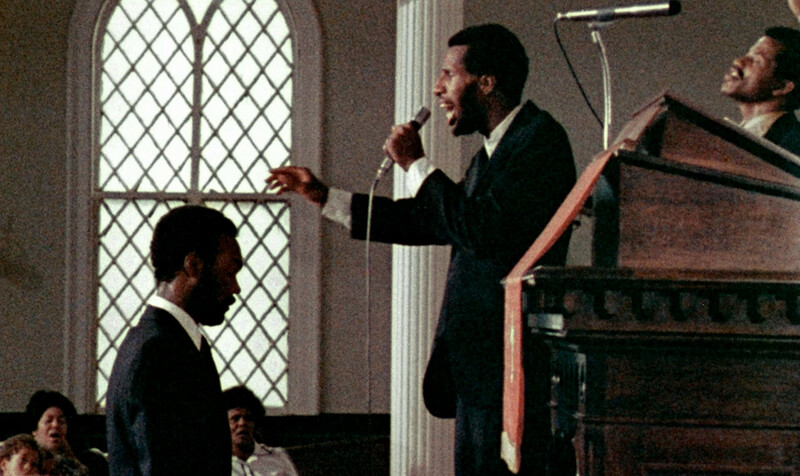 It’s artful and reflective approach is absolutely not what the producers wanted Bill Gunn to deliver, and that raises the film as a counterpoint to the black cinema of the time. Where most films were showing that the poor could maintain their identity and win, this proclaimed that success and respectability destroys the soul. While the views seem to fit together, there is a significant difference in tone. On one side, there is hope that conditions will change. On the other is a caution about what assimilation could mean.